Last year, in the throes of winter, I wrote about hygge (re: coziness). With a few weeks into spring, hygge looks a little different. Especially in Florida, when daily highs have a tendency to reach over 85. Luckily the nights are still cool... So, yes, spring is here, but that doesn't mean that hygge should be left behind. In my opinion, a home should always be cozy - no matter what the season. So, with that in mind, I wanted to share how I hygge in the spring. Flowers have a lovely way of making any home feel peaceful. However, steer clear from artificial flowers, it just doesn't give the same effect. Simple, colourful bouquets will keep you connected to the natural world. 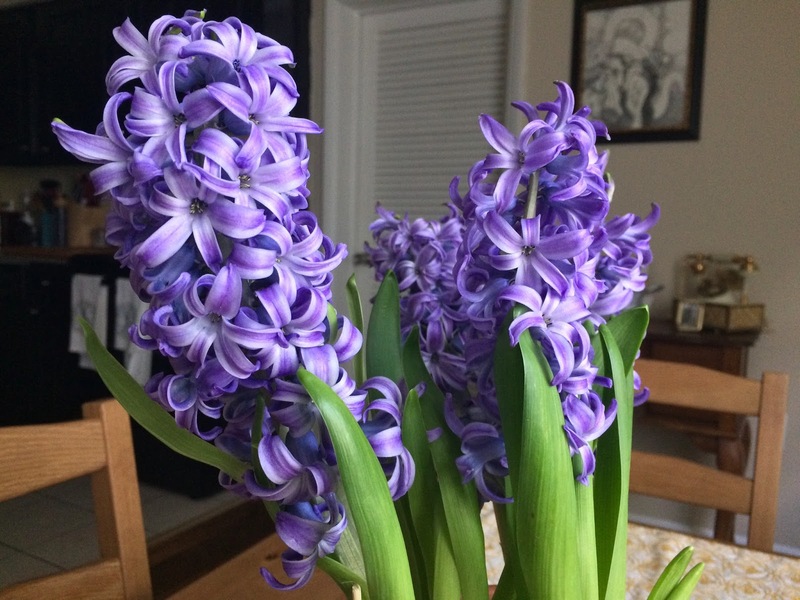 If you have a green thumb, opt for indoor flowers like hyacinths. 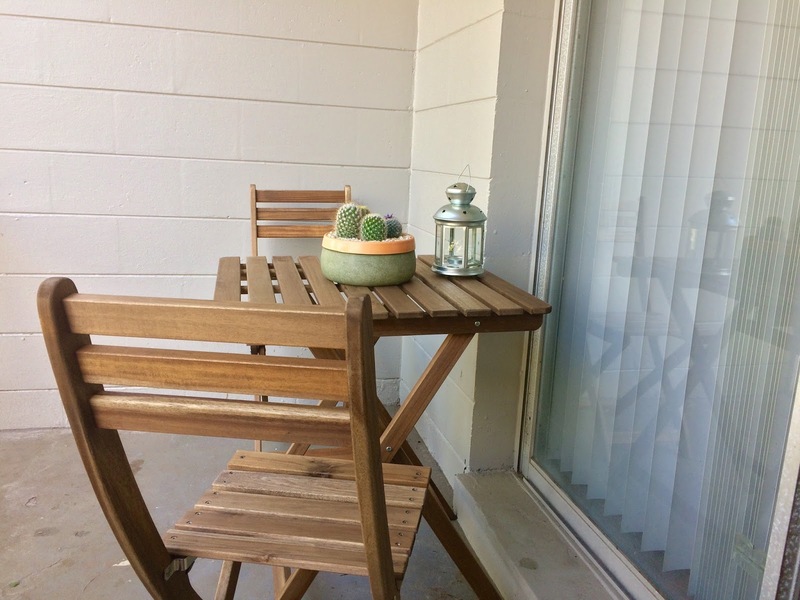 Don't forget about the greenery with easy to maintain pot plants, like succulents or cacti! I am a sucker for natural light. If it were up to me I'd have multiple windows in every room. Throw open the curtains or open the windows. Natural light is a great mood booster and now that it's getting darker later you can enjoy it even more! Candles aren't just for fall and winter. In springtime, the key is to find fresh scented candles. Candles that remind you of well, all things Spring. Using candles will help you to add that feeling of hygge. Scents of fresh linen, light floral scents, or sweet fruit are perfect for this time of year. 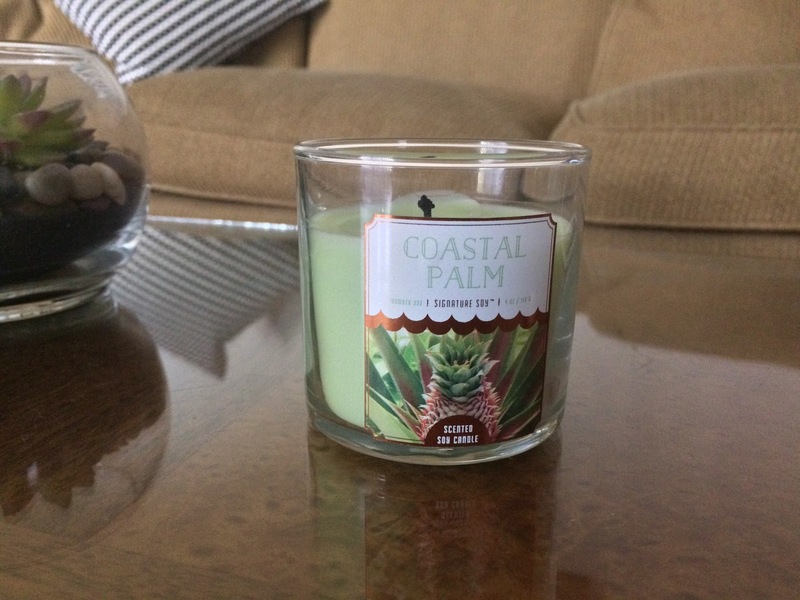 This Coastal Palm candle from Target is both fresh and sweet. Spending time outdoors means you can take in all of the blooming flowers and enjoy nature. I mean, even if it's means having dinner on the back porch, it's still hygge. Think fresh pico de gallo and tortilla chips with homemade margaritas. Any time spent outdoors is a good thing. Go on a picnic, spend time at the park, take a walk around a lake. Whatever it is, go outside and enjoy it. What are some of the ways in which you can bring hygge to springtime? Let me know in the comments below so we can discuss! No flowers in our house because the cats will eat them, and if they are too fragrant, I'll get a migraine. Natural light...yes. We have so many windows in our new house! It's great. A salty margarita would hit the spot right about now!! :) Enjoy a hygge-filled weekend!! Yeah, I have to keep Olive away from the ZeeZee plant that we have. Thankfully she is a scaredy buns and not as curious as a cat. I'm jealous of all your windows!